I am in conversation with a production company, Wall to Wall Productions, who are currently developing a dramatised television series, based around one of the many Mother and Baby Homes in the UK in the 1960s. Wall to Wall Productions are the creators of some excellent and relevant series, including Who Do You Think You Are? and Long Lost Family. This production is still in development, however if the show goes forward it would be set in an unnamed Mother and Baby Home in 1960s England or Wales, and all of the characters would be drawn from the real stories of real women who experienced these homes. Their desire is to present the material as factually as possible, without romanticizing what was often a very challenging experience. To this end, the development producer would be interested in talking with some women who spent time in the Homes. All contributions will be anonymous, however they will offer up the opportunity for an honest depiction of these experiences to be presented to a much broader audience through a televised series. If you would be interested in speaking with the producer of this show to offer up some of your history in the Mother and Baby Home, I think it could afford us an opportunity to raise an even greater awareness of this important piece of the past. If you are interested in speaking with the producer, please contact me at oralherstorian@gmail.com. If you have any questions or concerns prior to speaking directly with the production company, please don’t hesitate to be in touch. A distinguished oral historian, Alessandro Portelli, noted that one of the great values of oral history is its ability to amplify the voices of communities, movements or individuals by taking them outside, by breaking their sense of isolation and powerlessness by allowing their discourse to reach other people and communities. This achievement is my greatest goal in developing the project on mother and baby homes, and what brings me such joy in announcing that my project website is now live! You can visit it at www.motherandbabyhomes.com and I hope you will take a moment to comment in the social forum on your impression of the site and its content. This project began with an oral history assignment, an assignment which suddenly married my passion for learning women’s stories…particularly their marginalized histories, with a new love for oral history methods. Methods which allow women to speak, in their own words to recount their histories, and then to bring those histories alive by joining them with others who had similar experiences. Suddenly a single, intimate, painful memory becomes part of a collective voice demanding attention. Just as this subject matter demanded my attention. I sought out a single woman to interview, to fulfil an assignment, to quench a curiosity. But the stories were too rich, too alive with a history not yet fully in the past, that I couldn’t bear stopping with just one interview. Instead the subject haunted me, women emailed me with their willingness to participate, charity shops I would pop into suddenly filled their bookshelves with stories of unmarried motherhood and these homes. Old friends began recounting their own experiences of illegitimacy and relinquishment. News articles, television shows, books, films…suddenly the topic was embedded in everything I saw and my only recourse was to relent and pay attention. To reciprocate by making my own contribution to this history which still lives in the everyday thoughts and actions of women and their children today. The website, the culmination of this research to date, has been live just a few days. And yet I have been receiving visitors and comments from people around the world. People who find resonance in the content, who have spent time in these homes, who have sisters and mothers and daughters who spent time in these homes, people who were adopted and have found or are seeking their birth relatives, academics and authors who have studied similar topics, and individuals who have never known such a history existed. Their words literally brought tears to my eyes, and I suddenly realized I am neck deep in this research and have no desire to escape it. I am moved each time I listen to the words of these interviews, when I hear the joy, the struggle, the pain, the humour, the healing that has taken place. I hope this is an issue I can continue to pursue, to research, and to find ways to give a voice to. But for now, at this moment, I hope you will explore the website and share it with anyone you feel might appreciate its content. Until next time, my very best and my gratitude for your continued reading of this blog. I first learned about Mother and Baby Homes about fifteen years ago. A friend of mine from the States shared with me her own story of being sent to a Home for Unwed Mothers (as they are frequently labelled in America) in 1960s New York, and giving her son up for adoption. She told me this tale at the time she was reuniting with her son, over thirty years later. 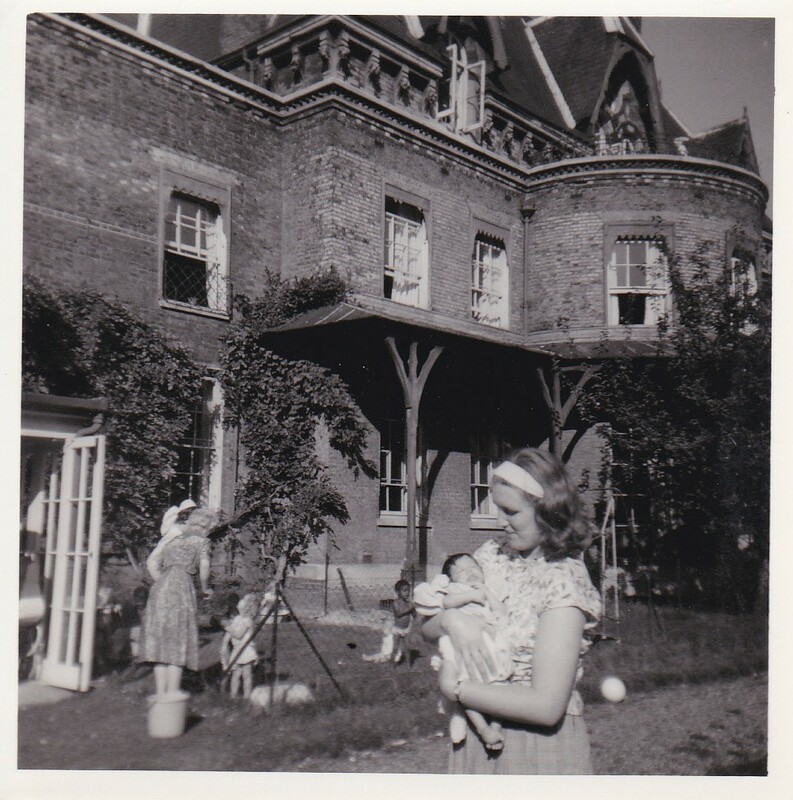 Single motherhood never struck me as odd, I myself was born out of wedlock, but these homes seemed extraordinary. Serving a population in a way that was outdated to my own understanding of single parenthood and the way it was perceived. When I began pondering my dissertation it was to these curious Homes which my thoughts turned, and to the women who spent time in them. These women, and their children, represent a history that fascinates. It fascinates me because it still exists, not like the echoes of Roman invasion or Greek architecture, but lives still entangled by a history that only decades later has been swept away. Before I could turn to the women of this project to learn their stories, I needed to delve first into England’s first Mother and Baby Home. I needed to know how this began, before I could discover what it became. So today, I’m going to tell you the story of Ivy House. England’s first home for unmarried mothers. Recognizing the desperation of these so-called fallen women, The General accepted Mrs. Cottrill’s charge and appointed his daughter-in-law Florence Booth to oversee the new branch of Salvationist services. 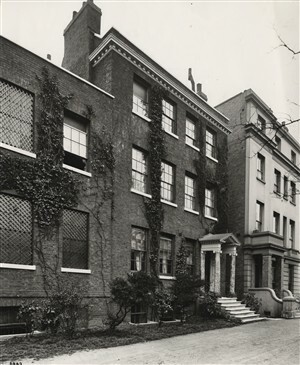 And, while the desire to help such needy women was the mission of England’s first home for unwed mothers, at its heart was the Salvationist doctrine to bring more members into the Methodist army through General William Booth’s mantra of ‘soup, soap, and salvation.’ It was with this in mind that Mrs. Booth opened the doors to Ivy House. Opened in 1891 at 271 Mare Street in Hackney, Ivy House was the jewel in Mrs. Booth’s social work crown, beginning with just 20 beds and a single nurse. Offering respite for expectant unmarried mothers, Salvationists spread the word of this new service through poor neighbourhoods and among prostitutes, hoping to offer refuge and spiritual guidance in their time of need. 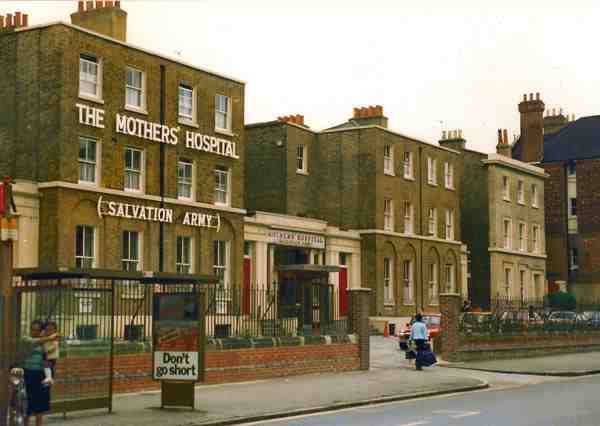 The women receiving help from the Salvation Army’s maternity services included women and girls from all walks of life fallen into hard times, whether falling pregnant from a promised marriage, while in service or working the streets of London as a prostitute. 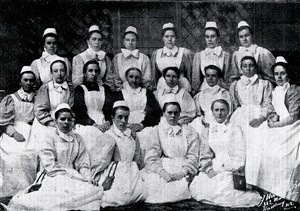 Their presence in the home was twofold, as ‘girls who are about to become mothers, and whom it is not advisable to send to the workhouse, go to Ivy House, and their need is the opportunity for the Army nurses to study midwifery.’ Ivy House focused on women who were single and pregnant; however other services were also part of the Women’s Social Work movement including the Slum District services which provided in-home maternity care for poor married women and outreach to the ladies of the night during Midnight Work. 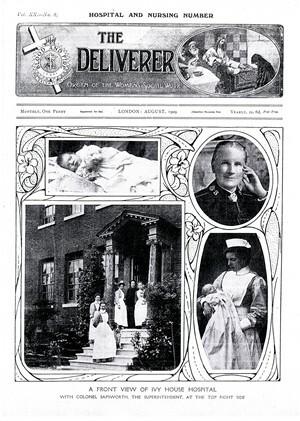 The Salvation Army’s publication The Deliverer reported on the Women’s Social Work efforts and on happenings within Ivy House. Here are a few interesting descriptions of the women served by Ivy House. Do note that their selection could be indicative of representing the larger population of women in the homes, or perhaps more likely were suggestive of the types of stories best suited to nineteenth-century stereotypes of pitiable so-called fallen women as a means of soliciting financial support for the home. These passages depict a very specific type of client to Ivy House, that of the pitiable innocent who passively came to her circumstances through the lies of deceptive men. Each is orphan, immigrant, or widow and found friendless and alone. They are in dire circumstances without work, though three are noted as recently working or seeking work. That spectre of the destitute, the workhouse, seems to loom as incentive to improve their circumstances. Indeed, they seem to be respected for having avoided thus far that level of aid, falling perhaps into a category we might call ‘the respectable poor.’ Yet, some care must be taken in assuming all women who passed through the doors of Ivy House were so miserable and alone, for they remark in 1906: “From all conditions and spheres of life they came – rich and poor, refined and rough, English and foreigner, Jew and Gentile, entered the wide open portals…” This makes an interesting point for the ways in which women who went to Mother and Baby Homes through the 20th century were perceived, as poor and fallen, rather than the realities that it was possible for women from any station and any background to find themselves pregnant and unmarried. Initially, only Salvationist women could work in the home. However as the years went on and the hospital grew the Army relaxed the requirement for nurses to be Salvationists and instead became one of the first training hospitals for any women wishing to become midwives. A new law instituted in July 1902 known as the Midwives Act forbade the practice of midwifery ‘except under the direction of a qualified medical practitioner’. As part of this change Ivy House was certified to become a Training School for Midwives. This opened up their existing training program to ever increasing numbers of new nurses with a report in 1912 that to date ‘506 maternity nurses have been trained’ at Ivy House Hospital and since the new regulations for midwives instituted ‘258 have received the C.M.B. certificate’. By November of 1889 forty cases had been received and one woman trained for duty, by June the following year over one-hundred had been helped in a home which could accommodate twenty young women. Along with a bed, meals, medical treatment, and spiritual guidance the home even offered bundles of used clothing to needy mothers. Staff also performed work to seek remuneration on behalf of the girls from men who deserted their fatherly duties. Further, and perhaps crucially, the staff found placements in service for the girls after their children were born and arranged for foster-carers or nurse-mothers to care for the babes while the women worked. These services, at the heart of England’s first mother and baby home seem to have faded from view as the generations progressed and adoption became both legal and encouraged. By May 1894 the maternity home had been transformed into a maternity hospital with a new residence, Brent House , established as the new confinement home for unwed mothers with 54 beds and over 225 new cases annually, while Ivy House had served five hundred women to date. The 1902 Midwives Act lead to Ivy House being recognized as a training centre for midwives, thus increasing their profile for potential nurses. With ever growing demand being placed on Ivy House Maternity Hospital plans for a new building were underway and the stone-placing ceremony for the new institution was laid by ‘Her Royal Highness the Princess Louise, Duchess of Argyll, on Thursday, July 4, 1912’. Thus began a new chapter in the life of Ivy House, one which would have special bungalows for “unmarried mothers, another for special cases, another will be reserved exclusively for married women, and one will, it is hoped, be used by Jewess mothers, for whom special arrangements are made.” The opening of this new hospital is the bookend to the Salvation Army’s early establishment of the first Mother and Baby Home, but is perhaps best used to reflect upon the previous eighteen years in which ‘506 nurses had been trained at Ivy House Hospital, in which 4,260 births have taken place; while 13,600 births have been attended to by Ivy House Nurses in the district’. 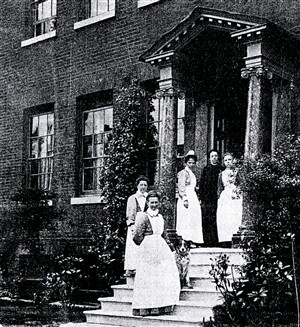 Ivy House proved to be an important milestone in maternity care for poor women in London. Growing out of a Christian sense of duty to serve the needy in the late-nineteenth century, it persisted to be useful to women from all walks of life in London until its closure as Mothers Hospital in 1986. Religion has always been tightly interwoven with Mother and Baby Homes. The Salvation Army initiated the movement, but by 1968 with 172 known Homes throughout England of these 138 was religiously affiliated, though the Salvationists were no longer in the majority. In 1968 58% of the Homes were run by the Church of England, 11.6% by Roman Catholics, 5.3% by Salvation Army, 3.5% by Methodists, and the remaining by other churches or local authorities. While this can be attributed to the social work missions of many religious bodies, it also implied acts of penance necessary for the unmarried young women who became residents in the Homes. Crowther, M. (1981). 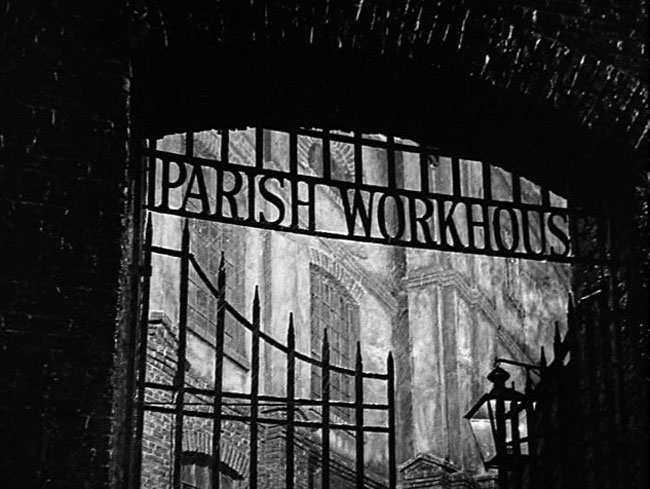 The Workhouse System, 1834-1929. Cambridge: University Press. Mayhew, H., & ed. Neuburg, V. (1985). London Labour and the London Poor. London: Penguin Books. Nicholson, J. (1968). Mother and Baby Homes: A Survey of Homes for Unmarried Mothers. London: George Allen & Unwin Ltd.
Prochaska, F. (1980). Women and Philanthropy in Nineteenth-Century England. Oxford: Oxford University Press. Ross, E. e. (2007). 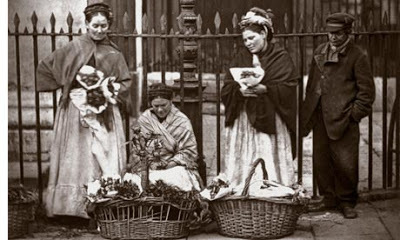 Slum Travelers: Ladies and London Poverty, 1860-1920. Berkeley: University of California Press. The Salvation Army. (1898-1993). The Deliverer. London: Salvationist Publishing. Walker, P. (2001). Pulling the Devil’s Kingdom Down. Berkeley: University of California Press. NOTE: Most quotations included are drawn from the Salvation Army’s publication The Deliverer between 1889-1913.